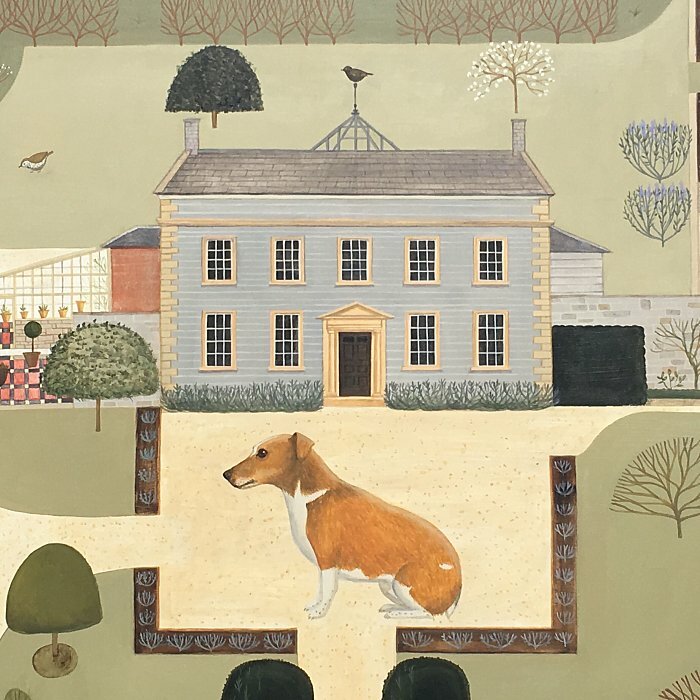 From cottages to castles, labradors to lurchers, commissions of any animal, bird or architectural subject are considered, but no humans. 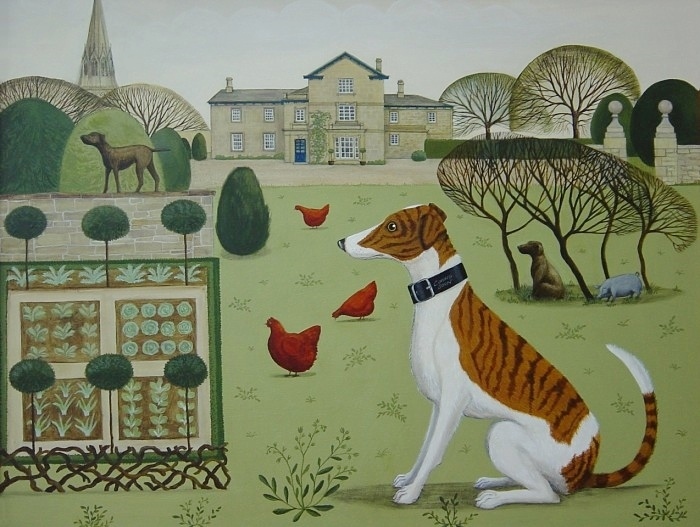 Prices start at £750 for a single animal portrait, £2,500 for house, garden and animal portraits. Please contact Catriona by email to discuss a commission. 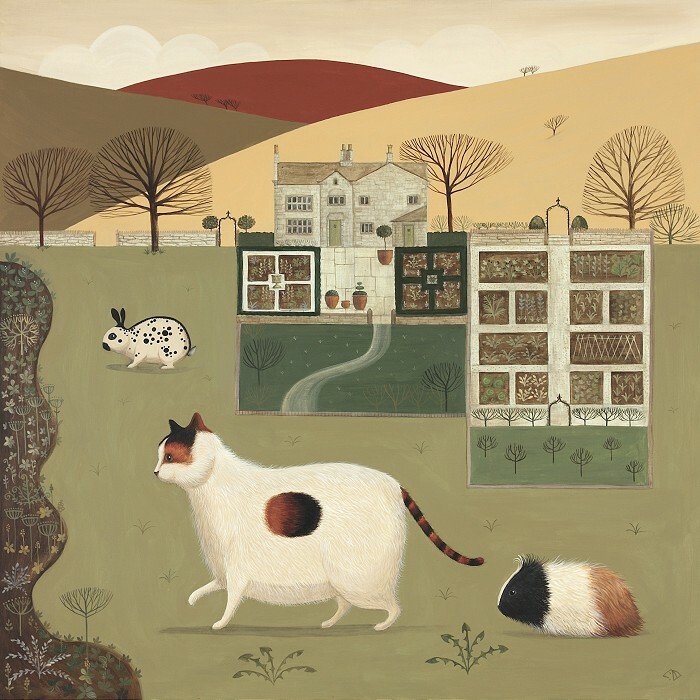 This picture was sold in the Sotheby’s Auction of the possessions of the late Dowager Duchess of Devonshire. 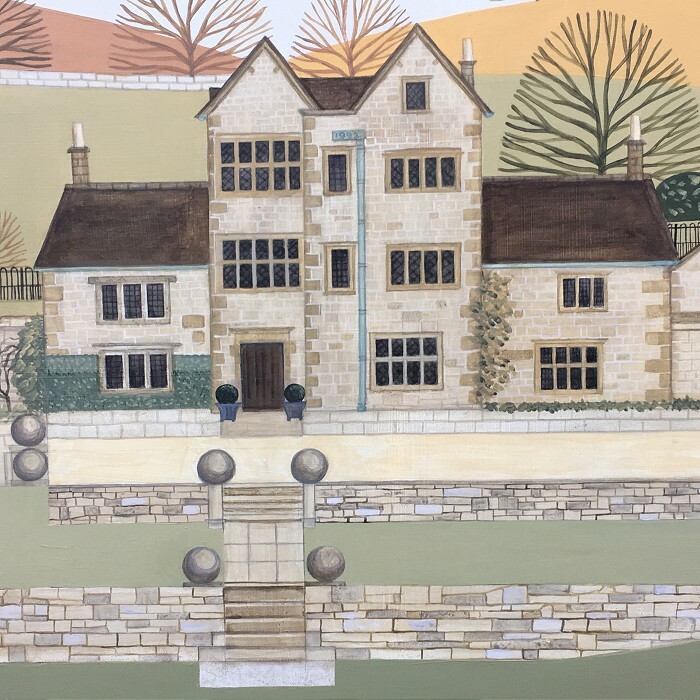 It represents her home at the Old Vicarage in Edensor on the Chatsworth Estate.